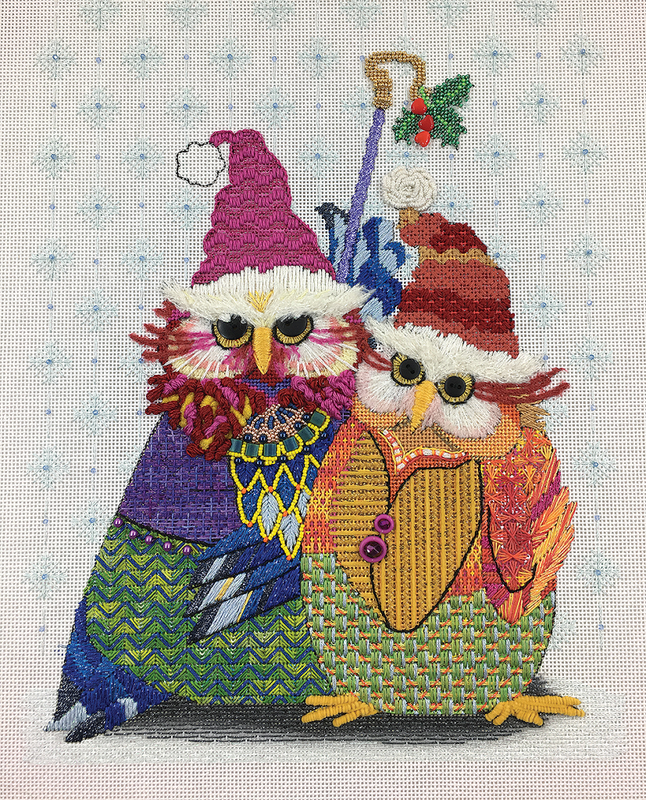 Big fluffy snowflakes are falling on Stella and Max our holiday owls. Brooke Connor designed such fun art for us to stitch. There’s so much detail on these two but it all came together. I’m almost finished. All that is left is one pom pom! 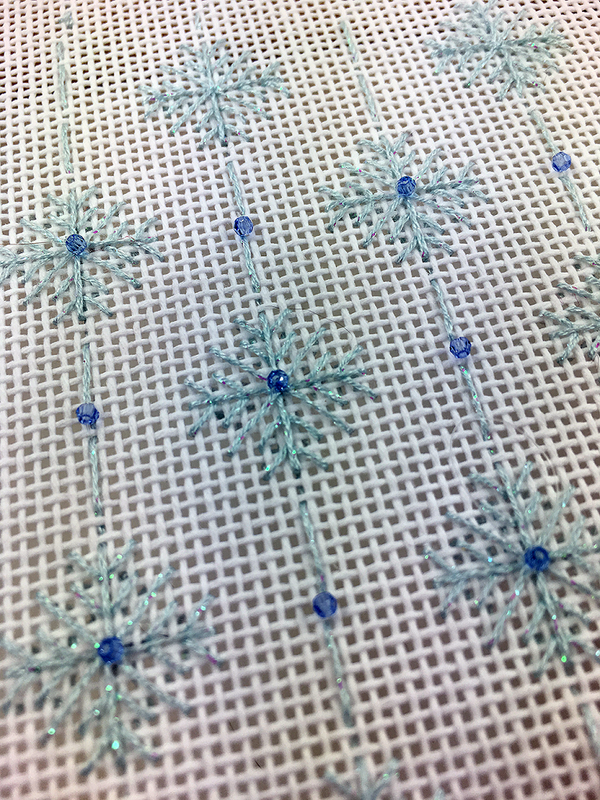 Thank you Robin King for this great snowflake pattern. Super cute and super fun. It reminds me of my days stitching counted canvaswork. Zoom and it’s finished. 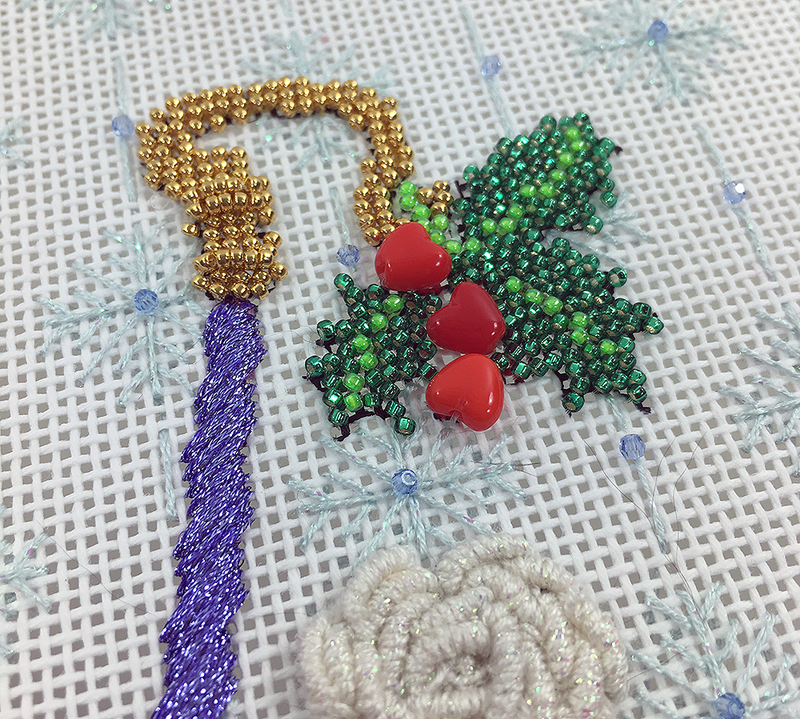 Of course the holly is beaded and embellished with fun vintage heart beads. I hope you enjoyed this Mystery Class as much as I did. 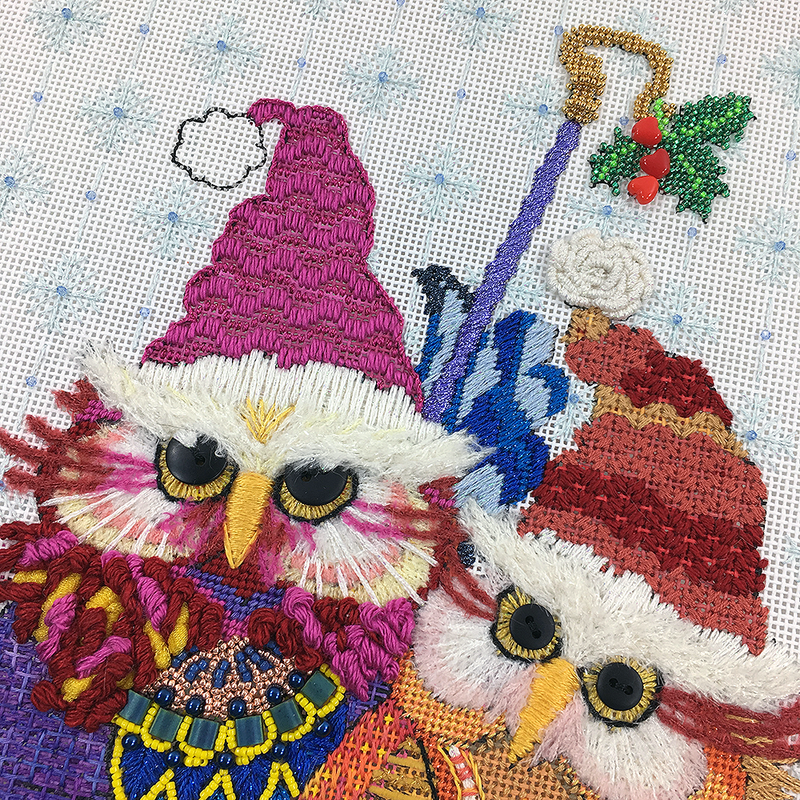 If you aren’t stitching owls but wish you were, give us a call @ 410.296.0405 or order online here. We have canvases in stock! Our next mystery Cat and Mouse game starts in two weeks! There’s lots going on in the beehive. Stay tuned here and on instagram for fun flashes of color. This is part of a Mystery Class! - Buy the kit! « Previous Mystery Post: More is More! too much fun & magic ….. all in a small canvas…..!!! !